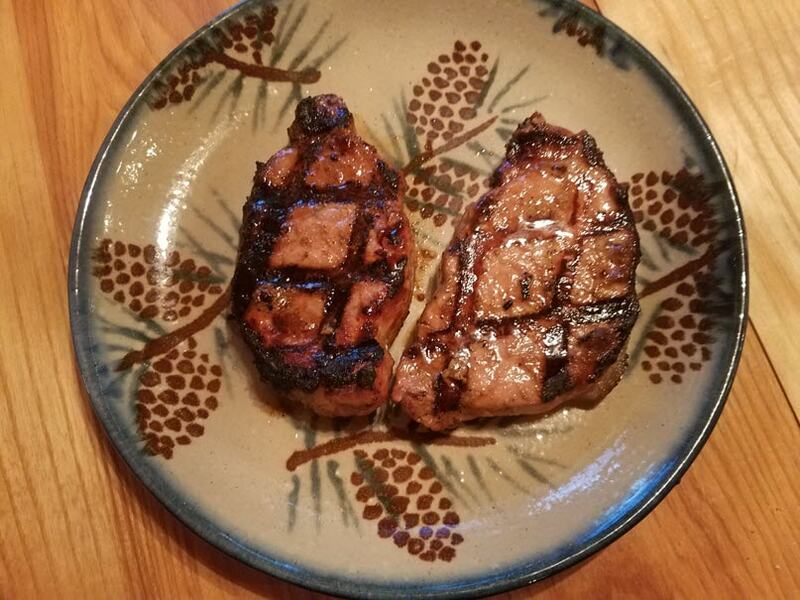 I just used my new Weber Gourmet Sear Grate the other night for the first time and I am psyched about the results! What is even cooler about this sear grate is that you don’t even have to do the traditional step of turning your steaks slightly to get the cross-hatch marks. This sear grate has the cross-hatch built in! 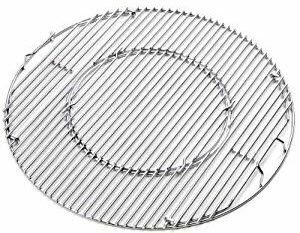 I’ve used, and still use today, Weber Grills in all sizes including my Weber Smokey Joe, my Weber 18-Inch One Touch Silver, and my latest Weber Grill purchase which is the Weber 22-inch Kettle Grill. You can see me unboxing and setting up my 22 inch Weber Kettle Grill in this youTube video. 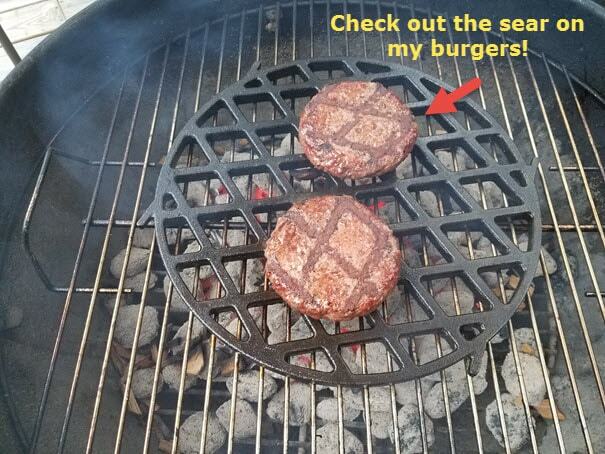 I basically use the grill that makes sense for the situation. If I’m heading over to my in-laws’ house I’ll just pack up my Weber Smokey Joe in my Weber Smokey Joe Bag and set it up over there to cook up hamburgers, steaks, pork chops, or any other meat or seafood. My Weber 18 inch One Touch Silver is perfect for just my wife and I or a small group of relatives or friends. 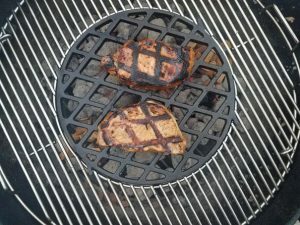 My Weber 22-Inch Grill is the ultimate when it comes to being able to add accessories like my Weber Gourmet Sear Grate or any of the many accessories that are made for that grill. Check out my youTube video below which shows me unboxing the sear grate and using it to cook some rib-eye steaks! 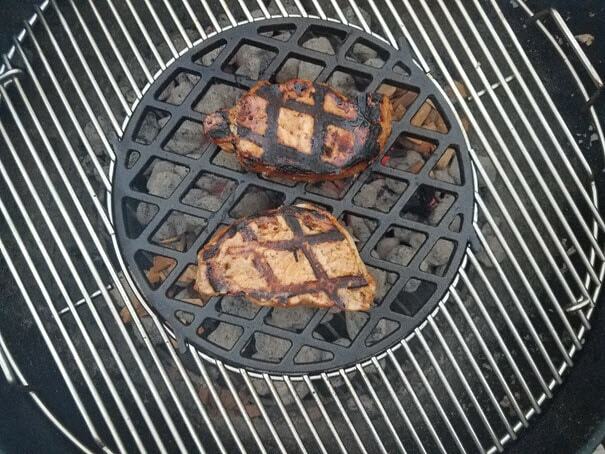 The Weber Gourmet Sear Grate is dynamite and I cannot wait to try it out next time on pork chops. 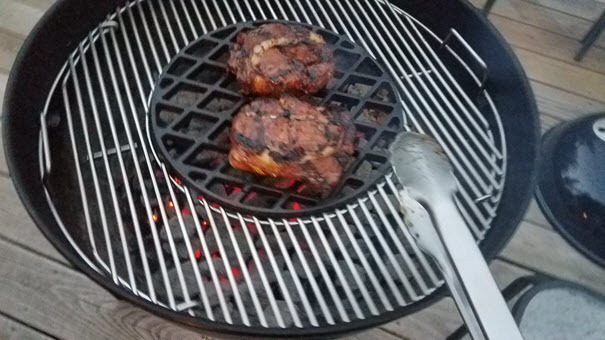 I am very excited that I finally have a charcoal grill that can sear a piece of meat. 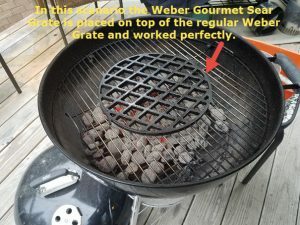 I use it with my Weber Hinged Cooking Grate because this grate is made specifically for adding the Sear Grate to the center. Check out my pork chops, burgers, and rib eye below! Weber Sear Grate placed directly on top of generic grate. Works awesome! Weber Sear Grate works great with burgers too! 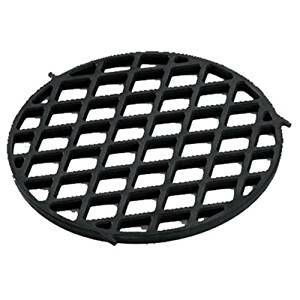 The middle section of the hinged grate comes out and the Sear Grate is put in its place. This is shown in the youTube video above. I guess you really don’t have to buy the hinged grate with the section in the middle and could probably just place the sear grate on top of your existing grate. 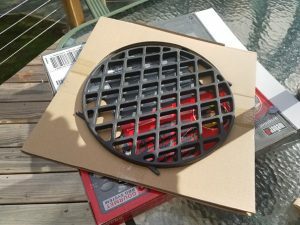 I decided to take the plunge and get the Weber Hinged Cooking Grate seen above because now I can pick up many of the other accessories that go with this grate in the future. Great addition to your grilling arsenal! If you're tired of not being able to sear your meat or seafood with a professional look? Well, this is the solution to your grilling and searing needs. Read the reviews if you don't believe me. It's definitely another high quality Weber product that will last a lifetime! Any questions or comments please leave them below or contact me using my Contact Me page.